This is the digital age and buyers no longer rely solely on their agent to identify possible homes. In fact, many buyers become obsessed with searching the easily accessible online MLS database both before and during the actual home-search process. The MLS database is a great place to begin, but savvy real estate agents develop comprehensive marketing plans that go beyond the database. In this recovering real estate market, a combination of selling tools is often necessary to reach your closing date quickly. A variety of advertising strategies is important, but so is networking with other real estate agents. Many buyers' agents are wary of showing a house without a listing agreement even if the FSBO advertising promises a reasonable commission. There is great risk involved when an agent works without the usual contracts. Since most home buyers have an agent, listing your home FSBO excludes a large portion of your customer base. Real estate agents know how to price homes correctly. Also, having a professional marketing plan accelerates the traffic to your home, increasing your odds of a quick sale. When your home is FSBO, you must choose between leaving strangers inside without any accountability and showing the home yourself. Since leaving people alone is not a safe option, FSBO homes are usually shown by the owner. Naturally, when you show the home yourself, your potential buyers will spend less time discussing the pros and cons of your property. They don't wish to prejudice negotiations by telling you what they like, or offend you by telling you what they don't like. This silence leaves you unable to encourage the pros and reasonably discuss the cons—a finely honed skill of quality real estate agents. Sometimes negotiating can get a little sticky. Buyers may want repairs that weren't in the sellers' budget, or they may try to "test the water" with lowball offers. Real estate agents can work with each other rather than directly with buyers and sellers, distancing themselves and keeping emotional clients focused on the big picture. The result is often a compromise that pleases everyone. The buying and selling of property is one of the largest business transactions most families face. Sometimes closings are not simple affairs. They can become clouded by chain-of-title issues or conflicting survey results. 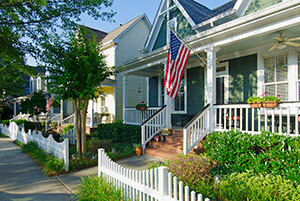 Even homeowners' association disputes can complicate the closing process. It just makes sense to use a professional when dealing with complex legal documents. I agree that negotiating can get sticky, mostly because I am not good at it. This is a real estate agents job though to work with the other real estate agents on a price. I think it is a real benefit of having a real estate agent when selling or buying a home.